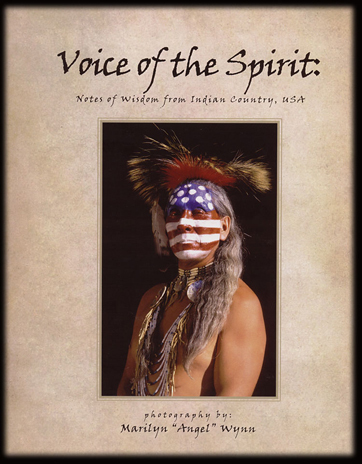 “Voice Of The Spirit” is a personal collection of spectacular photographs that showcase my photographic specialty and adventures throughout Native America. Pictures are accompanied with inspirational quotes from tribal members past and present along with informative captions. The book retails for $32.99 hardbound and $26.99 softbound. Right now you can take advantage of my special website offer and save 15%. All books are autographed by the artist. Let me know your name and I will personally dedicate the book to you. If the book is a gift then give me the name of that special person and I will dedicate the book to them. The book's size is 8.5 x 11. Orders are shipped out within 2 days.